HONEY, STOP THE CAR! This is IT! Completely re-done by loving owners. Perfectly remodeled kitchen, granite, flooring, even the baths got granite! Its all here for you to move in and enjoy! Nearly $70k spent last couple years (they did NOT plan to sell) on new roof, kitchen & baths, granite, flooring, sprinkler, gutters, windows, landscaping...wow! Plus, the yard gate opens to Willow Creekâs greenbelt, and a bike path is right there! 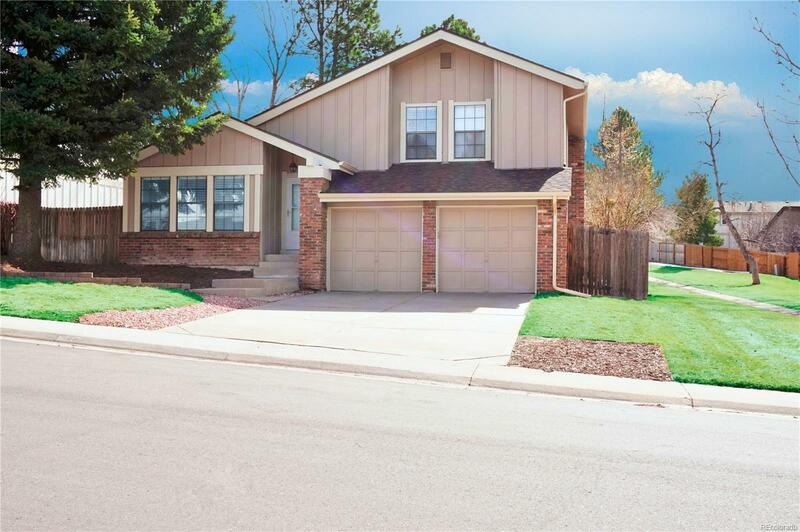 Open floor plan, vaulted ceilings, brand new stainless appliancesâ¦.go upstairs to 3 bedrooms, couple steps to family room with fireplace, basement has laundry, put your workout room there! HOA has clubhouses, pools, tennis courts, playgroundsâ¦and Park Meadows and light rail is nearby. Ready for your family to enjoy, owners say they will miss it!